The waiting list is always in motion. Managing this thing should earn a medal as there are so many variables when it comes to puppy selection. In my own estimation, I think Carolyn will get a pup, Denise, maybe Deana, Marcy, Ally, and possibly Mark. This is based on what we have and what people have told me that they want and the timeline of when puppies are available. . If there are no notes next to your name, it is crucial that I hear from you ASAP. I have already removed a few names off the top of the list because I have received no communication in MONTHS, or they have decided on a different path for a puppy. . It is very discouraging for new people to see how long the list is, but what is not easy to explain is that it really isn’t this long because people have different timelines, and for example, in this current list, it is very likely that Ally and Marcy are going to get pups from our current litters, even though they are #18 & 19. 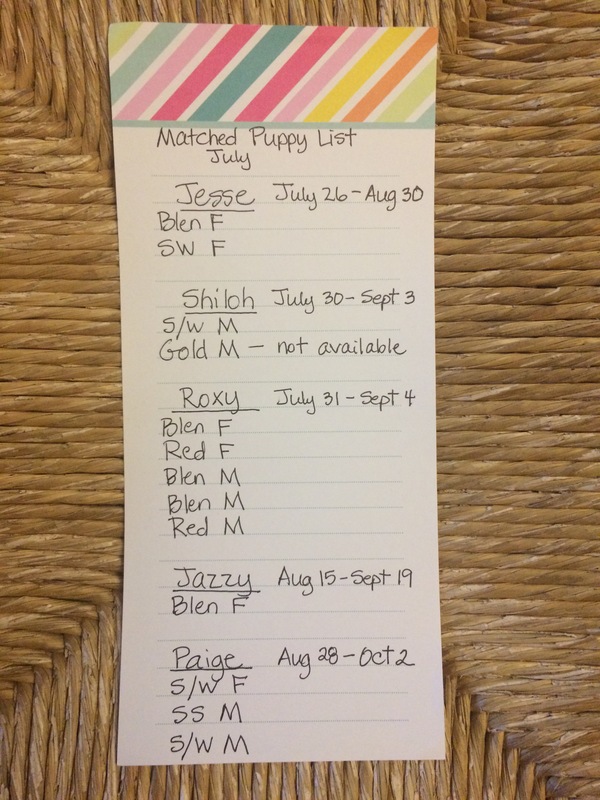 If you are new and contacting us for the first time, I may not have definite answers regarding when/if there is a pup for you right now, but since there is no risk with sending a deposit, your best strategy is to get on this list because then you are on my radar for choosing a puppy. We have 12 more puppies to match this summer. 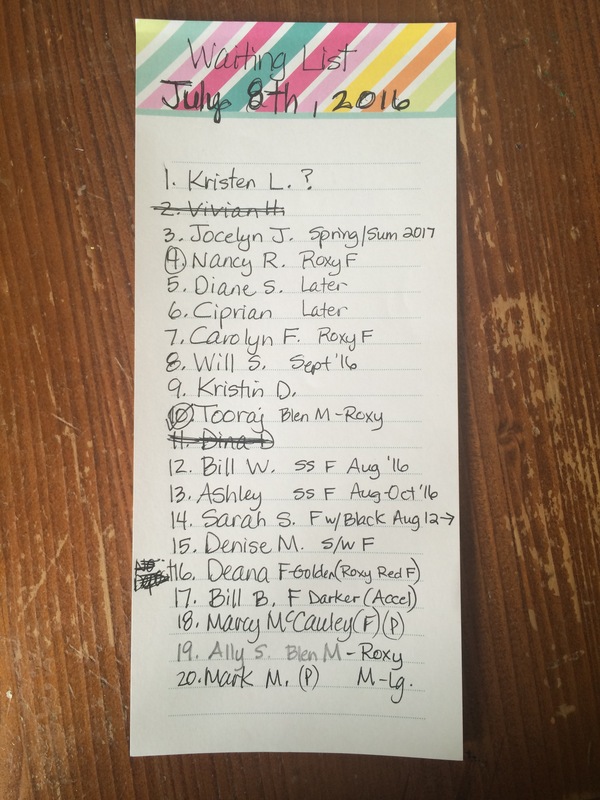 There are not 12 names on our list that are ready for a summer puppy and/or we do not have the color/gender combination that people want right now. I hope this helps to clear up some questions. If you are interested in a puppy, please send an email to silverpawcavachons@gmail.com. Hi Kristy. Did Jazzy only have one pup? My Cooper is now one year old (Jazzys May 2015). He is a doll and we love him to pieces!! He stayed very small. Only 11 lbs. we were surprised. Lost all his golden coloring and is more of a cream/beige with a white head. No health problems at all. Thanks again and if we ever decide on #2 we will be contacting you!! Yes. There was just one. Thanks for the update! Love to hear he’s doing well!